When making a decision, in nearly all aspects of life, timing is very important. If one fails to take a decision at the right time, his or her decision may back fire or people at the helm of affairs may take the person to task and shun him out of the system. In Pakistan, soldiers retire at an appropriate age but players show a stubborn approach and eventually, just fade away. The sportsmen of Pakistan, unfortunately, are not ready to adhere to this reality. Most of the prolific cricket and hockey players failed to make timely retirement decisions and were unceremoniously dropped from their teams. 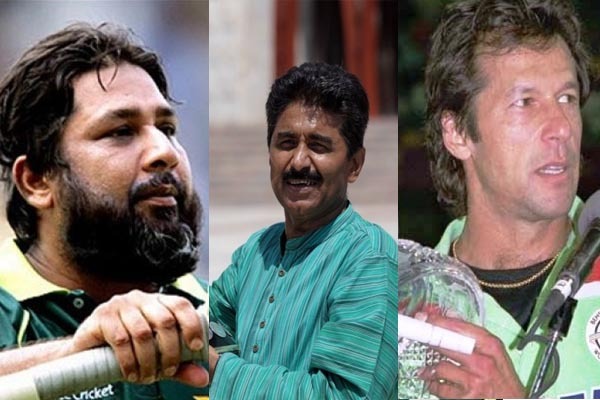 We have a long list of players, including the likes of Majid Khan, Wasim Raja, Muddasir Nazar, Mohsin Khan, Mohammad Yousuf and many others who for some reason or the other were unable to time and schedule their retirement and as a result, were dropped from the team; either due to inadequate forms or due to the differences that they developed with the board. In Majid’s case, he was supported by a strong family background and the helpless board was reluctant to drop him. But when his cousin, Imran Khan, took over the reins of captaincy, he took the bold decision of dropping Majid from the team. The case of Zaheer Abbas is also highly controversial. Zaheer announced his retirement from Test cricket but wanted to continue playing the ODI series for Pakistan. The board members and captains from the 80s were not flexible enough to let Zaheer continue in a single format, and the following argument between Zaheer and the Pakistan Cricket Board (PCB) reached such intensity that Zaheer was unceremoniously dropped from the 3rd Test match of the Pakistan versus Sri Lanka Test series, which was to be played at the National Stadium in Karachi. Fans had thronged the National Stadium to send off Zaheer with fervour but were disappointed when they came to know that he was not one of the 11 players on the field that day. The reason behind Zaheer’s last minute withdrawal from the team remains to be an unresolved mystery. A passionate fan, who had brought flower petals to be showered onto Zaheer on his last Test innings, showered those petals in the middle of the pitch on Ramiz Raja, who was Zaheer’s replacement for that particular match. Cricket boards and players around the world are in close proximity with each other most of the time and decide retirements with mutual consent, which then helps the players get a grand see-off and thanks for serving their country. I remember how the whole world knew that last Test match of the Pakistan versus Australia series of 1984/85 was also the last Test match of three stalwarts of Australian cricket, Greg Chapel, Rodney Marsh and Dennis Lille. Recent retirees of the Australian cricket team, including Ian Healy, Shane Warne, Mike Hussey, Ricky Ponting and many others, were given a send-off matching their stature because they read the writing on the wall and took timely decisions to leave the gentlemen’s game. Pakistan, however, is devoid of any such trend. In the last 63 years of Pakistani cricket, one will be able to easily count on their fingers the number of players who have announced their own retirement. The only ones I can recall are Imran Khan, Javed Miandad and Inzamamul Haq who announced their retirements in a proper manner and left the game with grace. India’s cricket board callously dropped many star players of the 2011 World Cup from the preliminary squad they submitted to the ICC for the 2015 World Cup. Many of these players were facing the inevitable threat of being dropped but they tried to remain glued to the team. Ultimately, the board, taking a futuristic approach, dropped the players. Shahid Afridi, the darling of Pakistani cricket, took the untraditional route and officially announced his retirement, and has now joined a select group of players who have bowed out gracefully. Afridi was initially included in the team as a leg spinner, in 1996. In the second match of his career, however, which incidentally was his very first innings, he blasted the fastest century in an ODI, a record that stand for 18 years. He scored his first Test century during his fourth Test innings, against arch rivals, India, on a cracking pitch in front of a charged Indian crowd. These initial successes made Afridi the player he is today. The sort of batting style he possessed was more often than not a recipe for disaster and his ODI batting average of 23.49 proves that Afridi failed to utilise his batting talent. Afridi, however, had announced his retirement from Test cricket in 2010 but continued to play ODI matches. He led Pakistan to the semi-final of the 2011 World Cup and that, I think, was the most appropriate time for him to hang the boots. But, unfortunately, Lala did not take the bold decision then. The delay in taking retirement not only cost him captaincy but his performance declined a great deal. His batting form was so miserable that he openly started calling himself a bowler who can bat a little bit. His poor form with the bat can be judged from the fact that in the first ODI of the recently concluded Pakistan versus New Zealand ODI series, Afridi was able to bat out for 25 balls after a gap of 17 months, and during this period, he played nearly 40 ODI matches. It seemed obvious that Afridi was only a part of the team more because of his seniority than his performance. I am glad that Afridi regained his form in the recently concluded ODI series and yet took the praiseworthy decision to announce his retirement well before the 2015 World Cup. Now, irrespective of the result of the upcoming tournament, Lala will always be remembered for his timely decision to quit ODI cricket. In my opinion, now would be a good time for Afridi to announce his retirement from all forms of cricket. He wants to continue playing T20 cricket and dreams to lead the team to glory in the 2016 T20 World Cup but I fear that if the team fails to meet the nation’s expectations during this tournament, Afridi may have to face the wrath of the people. Considering T20 cricket is more for younger players, with age catching up with him, it will be wiser for him to quit all cricket formats after the 2015 World Cup and leave the game on a high note with his grace and dignity intact. nearly18 years hence and Afridi went from one brilliant performance to another. though he is available for T 20 World 2015 Cup and should be utilized. 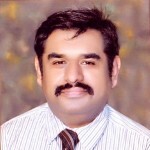 A good article by Khurram and he gives examples of so many players and even from military life. Mohammad Yousuf – the most unfortunate in my opinion ! Did not receive a farewell match and thus could not leave on a high note. I quite agree with your point of view. One should know how to uphold their rise and following on when to accept their decline. He who does so will most definitely be respected for his action for many years to come. In addition this article brings me insightful information about the history of Pakistani cricket.